Insurance Won't Pay Because We Have Limited Tort. Is That Right? Home » The Law & You » Insurance Won’t Pay Because We Have Limited Tort. Is That Right? Insurance Won’t Pay Because We Have Limited Tort. Is That Right? A viewer’s daughter was injured in a rear-end collision. The other driver’s insurance company refuses to pay because the daughter opted for limited tort. Can anything be done? Car insurance attorneys Greg Fellerman and Ed Ciarimboli clarify the situation. Dave Kuharchik: Question tonight about car insurance. 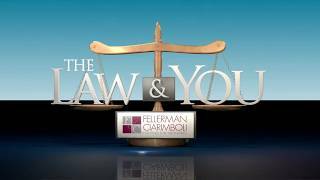 It’s “The Law & You” here on Eyewitness News with attorneys Greg Fellerman and Ed Ciarimboli. Always good to see you guys. Ed Ciarimboli: We got this one. Dave: It’s one that you know pretty well. Dave: Oh here’s our question tonight and it’s from Sam from Dunmore. Sam says, “My daughter was involved in a rear-end collision and she broke her nose and got a cut above her eye. The other driver’s insurance company says we have limited tort and can’t do anything.” What would you say to Sam? Ed: I would say that is not necessarily accurate. Limited tort means you’re limiting your right to sue. However, you can become full tort if you sustain an injury or an impairment of a bodily function. Having a broken nose would certainly breach that threshold in our opinion. But, don’t have limited tort. It makes things that much more complicated. We talk about it all the time. The few extra dollars it is going to cost you for full tort you’re going to protect your rights. Greg Fellerman: And the other thing is the exception of scarring. So you if have any scarring on your face you overcome that limited tort plus with the broken nose. What it comes down to, don’t listen to the insurance company. Ed: They’re not your friend. Greg: They’re not. You gotta give a call, we can give you the advice. If we have to get involved in the file. But at the end of the day, you have a legal matter. You have a skilled insurance adjuster doing their job in their mind. And at the end of the day, that’s a very skilled representative that you need lawyers to help you through these types of cases. Because they’re just not going to pay you what you deserve. It never happens. Ed: They are trained to resolve your claim as quickly as they can for as little as they can. That’s their job in those situations. Especially on the property and casualty end and the limited tort end. You got to stand up for yourselves. Dave: And of course you guys are here to help. If anyone has any questions, the number, the website is at the bottom of your screen. Results matter, attorneys Greg Fellerman and Ed Ciarimboli. See you next time, guys.